The following VM contains a default installation of Squiz Matrix without certain premium features such as Edit+ content editing package. If you would like a full demo to evaluate and review, please contact Squiz. We've made trying out Squiz Matrix a snap by distributing it as a fully functional virtual machine image. This means you can download Squiz Matrix and follow the easy instruction guide to have a fully running system to play around with. Simple, fast and secure. Once you have copied the file onto your local machine or the download has completed, open the file with the VirtualBox VM tool. 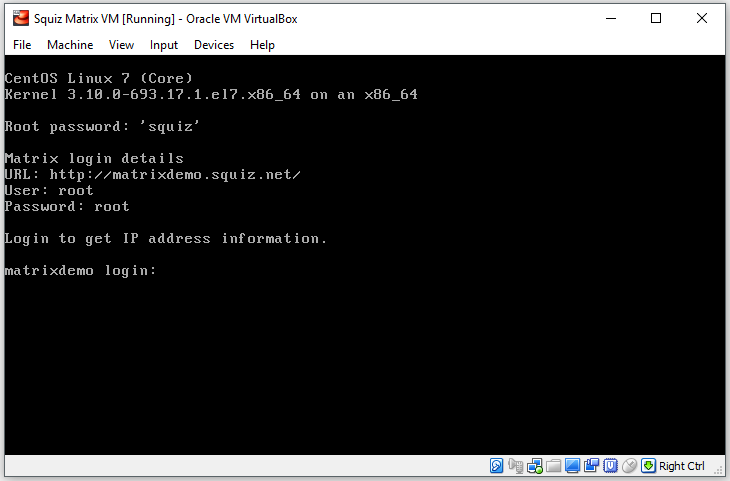 Once you've done this, consult the guide below to continue setting up your Squiz Matrix VM. This download is a VirtualBox virtual machine and requires VirtualBox 5.0 or higher. Alternatively, you can also download the core code and follow the manual installation instructions to install Squiz Matrix on your own server. To start up the virtual machine, double click on the matrixdemo.squiz.net.ova file. VirtualBox will open with the Appliance Settings Screen displayed, on this screen select Import. Once the import has completed, right click on the VM named matrixdemo.squiz.net and select Settings from the menu. Select the Network tab from the top of the popup menu and check the Enable Network Adapter checkbox. Select OK and then double click the matrixdemo.squiz.net VM. 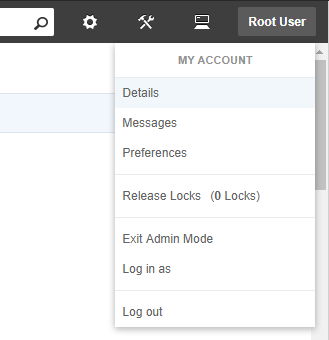 After you have logged in, the IP address of the VM will be displayed. Keep a note of this IP address as you will need it for setting up your hosts file. Changing the virtual machine root password is required to ensure your Squiz Matrix installation is secure. Do not skip this step. Your password has now been updated. Please note that this is not the password for the Squiz Matrix interface and this root password can only be changed using the passwd command on the virtual machine. The hosts file is a file that is used to map host names to IP addresses. A host name is like a URL (for example www.squiz.net). When you type this into your browser, your computer looks at its hosts file first to find its IP address. If it finds it, it will display the site. If not, it will ask your Internet service provider to find it. Because the URL you are using for the VM is not a publicly registered URL (i.e. your Internet service provider does not know about it), you need to add it to the hosts file on your local machine. 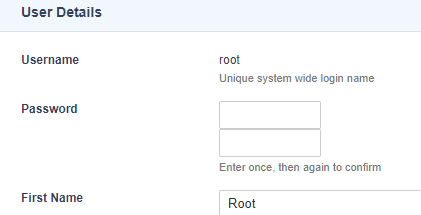 Note: this step is for editing your local hosts file, not the hosts file of the VM. The IP address might be different each time you load up the virtual machine. You can edit this file by opening it with a text editor on your machine. Please note that to edit this file you need to have administrator access to your machine. If you do not have administrator access, you will need to contact your system administrator for help. You may need to enter the password you use to log into OS X and you will need to have an administrator account. The file can be saved from nano by pressing Control+x and then y. Please ensure that you use a web browser that is supported by Squiz Matrix. You can see the list of supported web browsers on the requirements page. If the URL is not working, try restarting your web browser and then go to the URL again. To help you get started with Squiz Matrix, it is recommended that you read the manuals available on the Squiz Matrix User Manual Library. Specifically, the Concepts manual will take you through the basics and lead you into more advanced concepts. Changing the password of the Squiz Matrix root account is required to ensure your Squiz Matrix installation is secure. Do not skip this step. 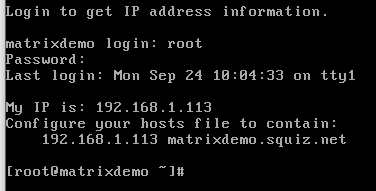 Once you have logged into Squiz Matrix, you should change the password of the root user.